Okay, I’ll just say it. I am not a huge fan of unnatural looking brows.. I like it better when people just work with what they have. This right here, is what you can do with your natural brow to improve the look without having to do a whole lot – or at least it is how I do mine. Some days I don’t do anything at all, it depends on what mood I am in. It is not until recently (a couple of months ago) that I actually started to do something with my brows other than pluck them. I just didn’t find it necessary. I don’t think it is necessary now per se, but some days I like to have them looking bolder and here is what I do to achieve that! Now, I am no expert, and my brows don’t always live up to this guide, but this is what a makeup artist once told me you should do to create a brow that suits your face the best, and I think it makes a lot of sense. Outer edge: Place a brush at the side of your nose and let it follow along the corner of your eye, to show you where your brow should end. Highest point: The brush should be place at the side of the nose and follow the edge of your iris. Where it meets your brow, this should be the highest point of your arch. Inner edge: Place the brush on the side of the nose and point it straight up. 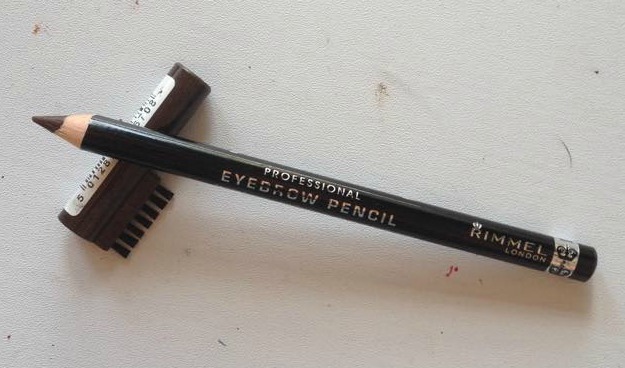 This will be where your brow should end. I like to trim the length of the hairs aswell when I pluck them. If you use eyebrow gel, mascara or the like and comb all of your hairs straight up, you will be able to see if some are longer than others and cut it with tiny scissors. I actually have pretty dark eyebrows naturally although my hair and skin is light, but there are some places where it looks very sparse and where the hair grows in all sorts of directions. 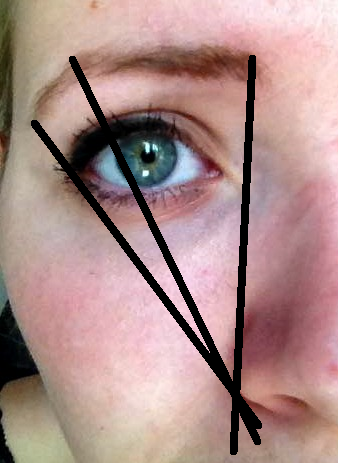 First, I fill in the sparse areas and emphasize the slight point of my arch with this eyebrow pencil from Rimmel London. 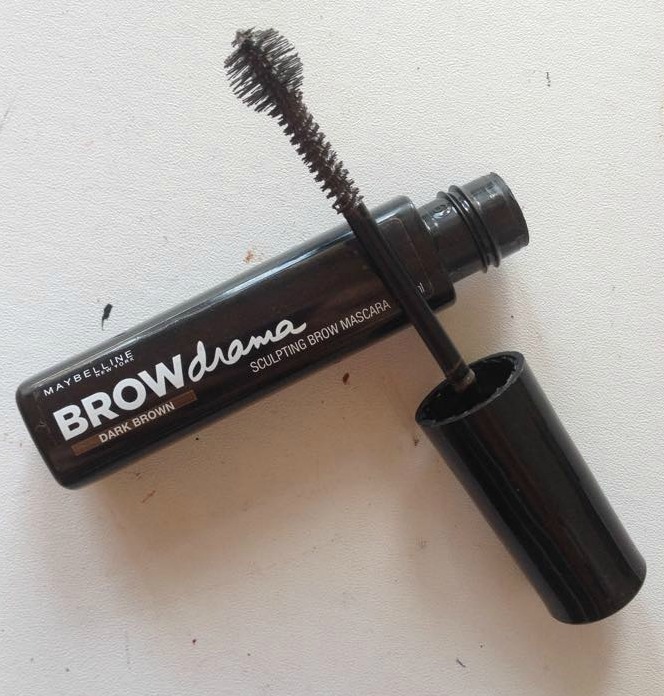 Then, I shape the hairs with this eyebrow mascara from Maybelline. That is what I do with my eyebrows! Hope you liked this guide!